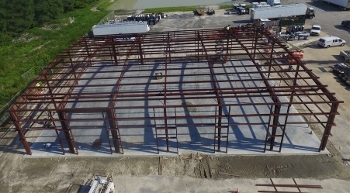 Our Services | Regional Builders, Inc.
Steel Erection We understand the process and critical nature of steel erection safety, quality and scheduling. Our crews specialize in Pre-Engineered construction throughout the Mid-Atlantic States. RBI work ethic and commitment to quality ensure a well-trained labor force for the building erection phase which is important to the integrity of the pre-engineered building. Our crews are experienced in industrial, agricultural, professional, commercial and religious buildings. We have the flexibility to complete any size project. We are fully licensed and insured and look forward to working for you!